"Grain is for the people, grapes are for kings," stated Cîroc Master Distiller Jean-Sébastien Robicquet at last night's launch of the Cîroc summer cocktail menu at Icebergs Dining Room and Bar. And there would be few who would disagree, the premium vodka is distilled from French grapes of the Cognac region, where the Robicquet family has been distilling wine for centuries, and the result is a smooth, pure spirit. Traditionally corn, rye, wheat or potato is used to distill vodka, ten years ago Jean-Sébastien Robicquet began producing Cîroc vodka from the Mauzac Blanc and Ugni Blanc grapes. The fermented grapes are distilled five times; the final distillation is performed in a copper pot, which enhances the spirit's crisp clarity. 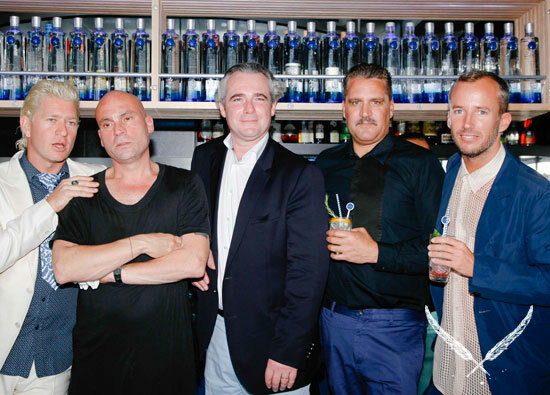 The Australian Cîroc Collective is a collaboration between former Ksubi owners and entrepreneurs George Gorrow, Dan Single, Paul Wilson and Michael Nolan, and restaurateur Maurice Terzini. Terzini explained opening a vodka bar had been a long-held desire and the opportunity to bring Cîroc vodka to Australia fulfilled this dream. The purity of Cîroc's composition lends perfectly to either a cocktail mix or being taken neat. 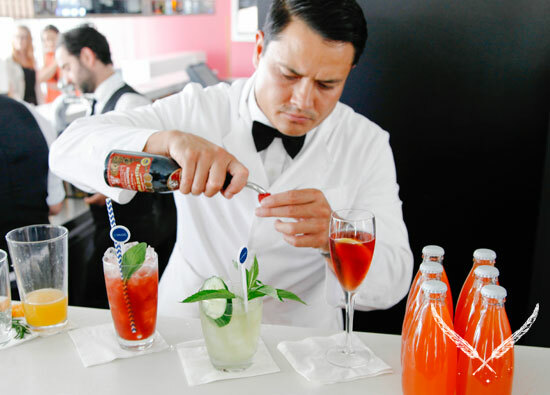 In celebration, Terzini has launched a dedicated Cîroc cocktail menu at Icebergs for summer. 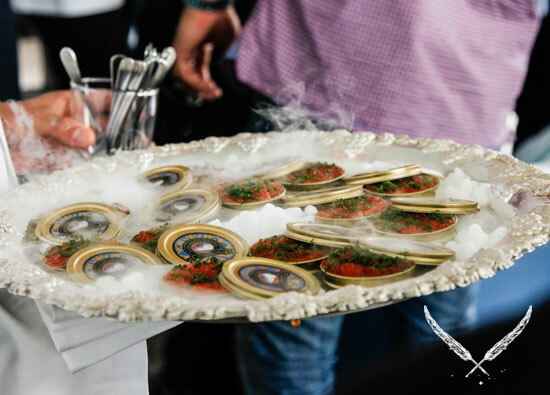 Epicurean highlights, that will have you grinning ear to ear whilst taking in the stunning 180 degree Bondi Beach views, include: No. 15 which comprises Cîroc with a Capi concoction that contains over 30 botanicals; No. 148 with Cîroc coconut vodka, orange Curaçao, mango, Chartreuse, vanilla and lime; and No. 133 Cîroc, lemon, raspberry, aged balsamic and basil. Icebergs Dining Room and Bar's new culinary director, Paul Wilson, created a delectable canapé menu to complement the Cîroc summer cocktails. The Yarra Valley Brook trout crudo with lemon myrtle and Yarra Valley Caviar is a must, as is the Wagyu Bresaola, figs and Black Silk Holy Goat Cheese.